Cannabis, also known as marijuana, refers to any number of preparations of the Cannabis plant intended for use as a psychoactive drug or for medicinal purposes. 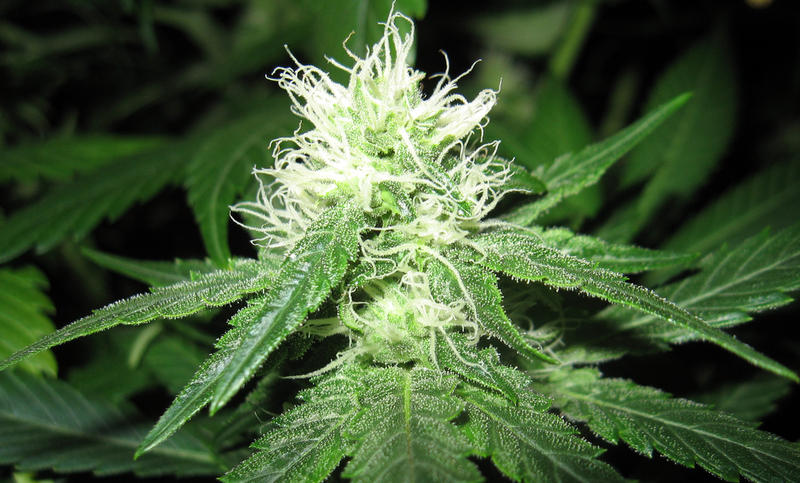 The English term marijuana comes from the Mexican Spanish word marihuana. According to the United Nations, cannabis “is the most widely used illicit substance in the world.” The typical herbal form of cannabis consists of the flowers and subtending leaves and stalks of mature pistillate female plants. The resinous form of the drug is known as hashish (or merely as ‘hash’). The major psychoactive chemical compound in cannabis is Δ9-tetrahydrocannabinol (commonly abbreviated as THC). Cannabis contains more than 400 different chemical compounds, including at least 400 other cannabinoids (cannabidiol (CBD), cannabinol (CBN) and tetrahydrocannabivarin (THCV), etc.) which can result in different effects from those of THC alone. Documented instances of cannabis use go back as far as the 3rd millennium BC. In modern times, the drug has been used for recreational, religious or spiritual, and medicinal purposes. The UN estimated that in 2004 about 4% of the world’s adult population (162 million people) use cannabis annually, and about 0.6% (22.5 million) use it on a daily basis. The possession, use, or sale of cannabis preparations containing psychoactive cannabinoids became illegal in most parts of the world in the early 20th century.